years old and will continue to help fund the center for many years to come. came to us the end of 2006 from a facility that was closing. are so glad that Angel has come to live with us. of the most well mannered cats at the center. 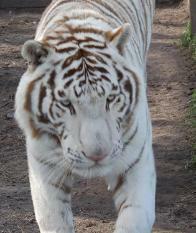 Tiger, it is the largest natural animal in the feline family Felidae. very few tigers in Manchuria (northeastern China) and fewer still in North Korea. Captive breeding and conservation programs are currently active. are still around 20 of these tigers in the Mount Changbai area of China. Primorsky region of Russia has risen from 450 to 500 in the past decade, indicating positive growth. 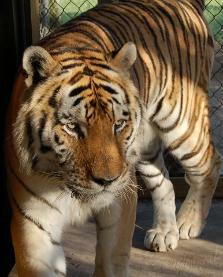 An Amur Tiger named Hodori was chosen to represent the 1988 Summer Olympics held in Seoul, South Korea. 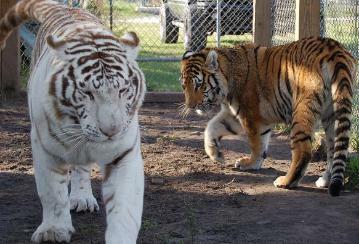 tiger's survival as preventing direct killing of the big cats. used as a good example when new programs have been designed to save other animal species from extinction. Tigers into the wild would face great difficulties. 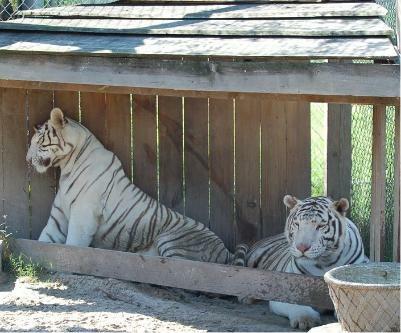 whether a pure white Amur Tiger exists. Cat Specialist Group (1996). Panthera tigris ssp. altaica. 2006 IUCN Red List of Threatened Species. IUCN 2006. 2006. 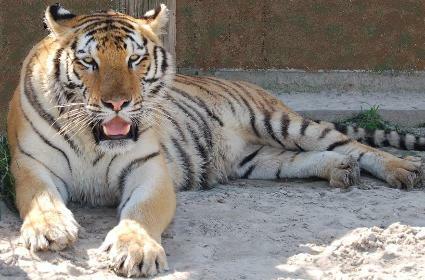 Russian Plan to Save World's Largest Tiger Succeeds. Environment News Service. US: Environment News Service. 2005. 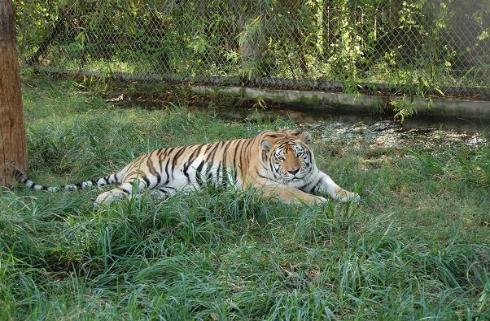 Fact: Did you know that each of our tigers can eat 15 to 20lbs of meat daily! and has been with us for many years. and has a beautiful straight neck. Czar and Angel Taking a nap.